Looking for an easy, affordable, and fuss-free way to manage and pay off credit card debts? 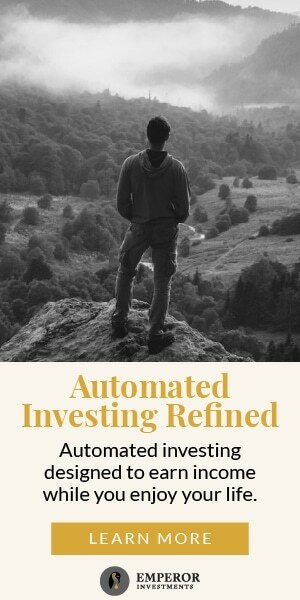 Tally is different from a conventional robo advisory service. 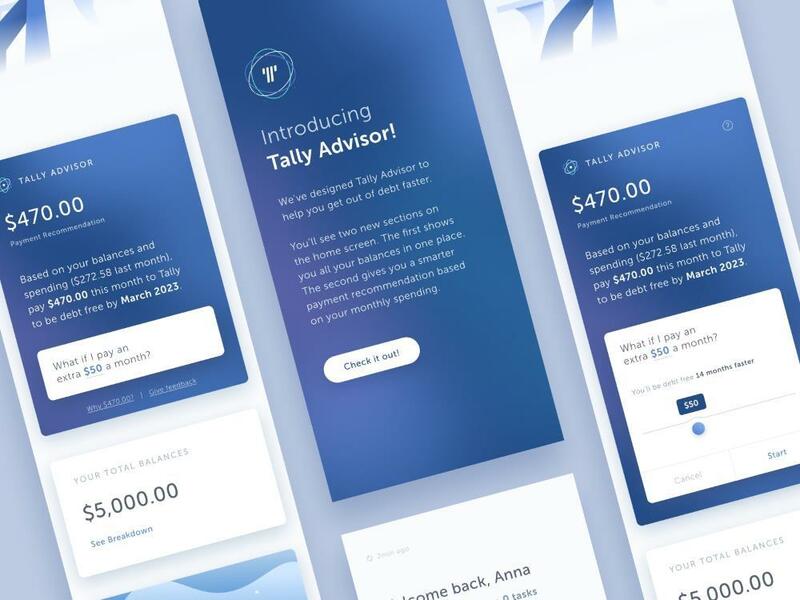 Instead of managing your investments or retirement account, Tally Advisor is designed to operate in a new and unique way. 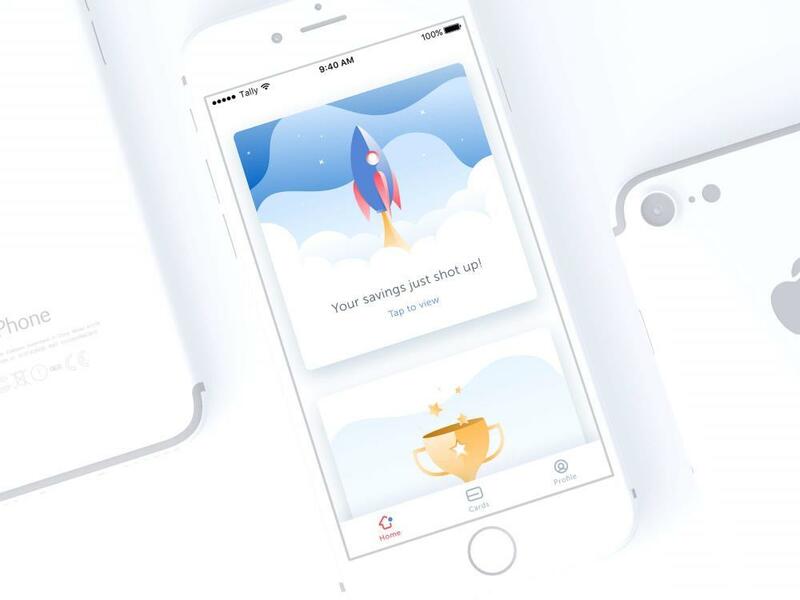 It can analyze all your existing credit card debt, consolidate the data, and present a manageable timeframe to pay off all those debts, without worrying about late payment fees and other unnecessary charges. Tally is easy and simple to use. It was conceived in 2015 by Jason Brown and Jasper Platz. The service was built from the ground up by a team of experts from the banking, credit, and lending industry. The top reasons for credit card complaints are exorbitant late payment fees, misleading reward programs, billing disputes, account closings, and identity theft. 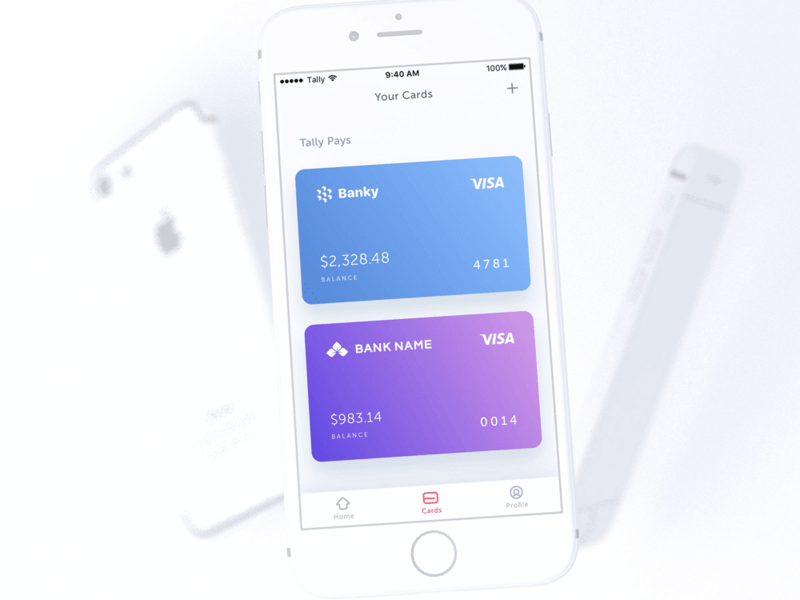 Tally will address all those issues by automatically consolidating all your credit card accounts into a simple and easy to understand format. After gathering all the necessary data, Tally will instantly become an automated debt manager. It will organize and pay down all your existing balances automatically to avoid incurring late fees. 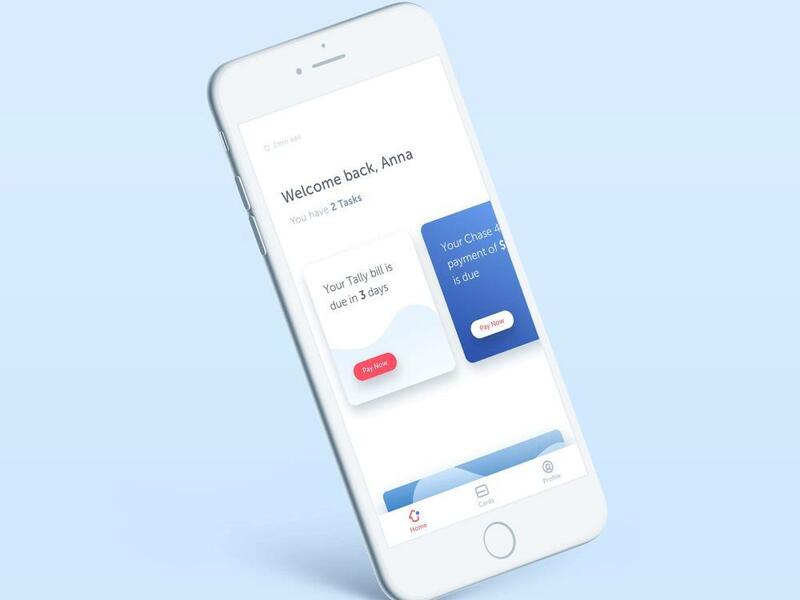 The service not only manages your credit card payments, it also provides personalized monthly payment recommendations based on your spending habits and timeline. How does Tally Advisor work? It all starts by downloading the free Tally app. After creating an account, you will need to scan pictures of all your credit cards. The system will conduct a credit check to analyze your financial profile. 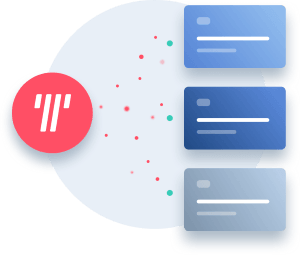 This allows Tally to find out the smartest, cheapest, and fastest way to pay the money you owe to credit card companies. After the credit check is done, the Tally Advisor will offer you a new line of credit, albeit with a lower interest rate than before. Depending on your credit history and score, your new interest rate will be between 7.9% and 19.9% annually. If you have good credit, you will naturally get a lower APR, which will save you money instantly. This is very good news considering the average APR or annual percentage rate is hovering between 15% and 18%. Of course, your APR will be higher if you have low or bad credit, but saving a few pennies or decimal points will equate to hundreds or even thousands of dollars over time. 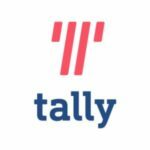 Tally Advisor offers two types of services: Tally Pay and You Pay. If you choose the former, Tally will swap all your existing credit card debt with a simple and personalized loan. You are basically getting a new credit line with a lower interest rate! The service will automatically calculate the minimum payment due for each credit card. It will figure out how much money you need to pay monthly to avoid incurring added fees. It’s a delicate balancing act controlled by various algorithms. 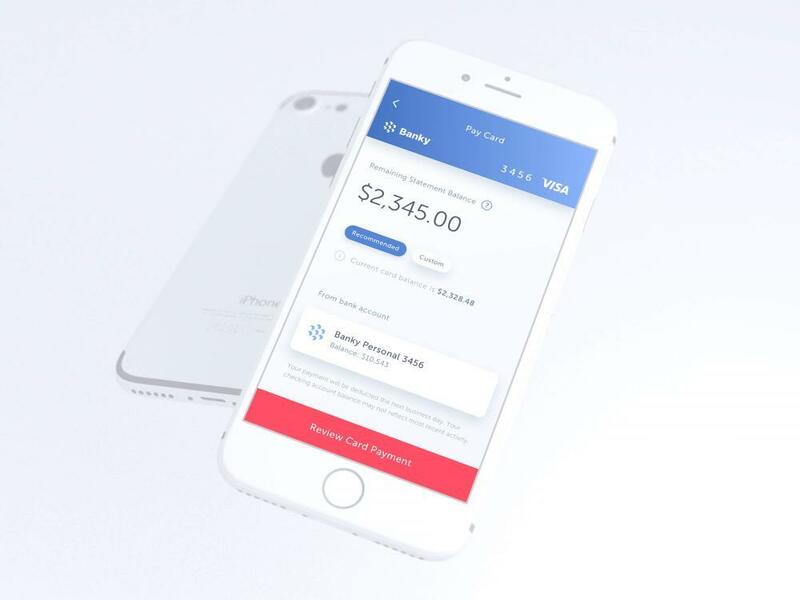 The Tally Advisor will also make sure to pay all the cards on time, which is at least two days before the payment due date. It will also tell you the date when you’ll be finally debt free! The You Pay service is completely free, and is perfect for consumers who have the capability to pay credit card debts themselves without the need for a line of credit. 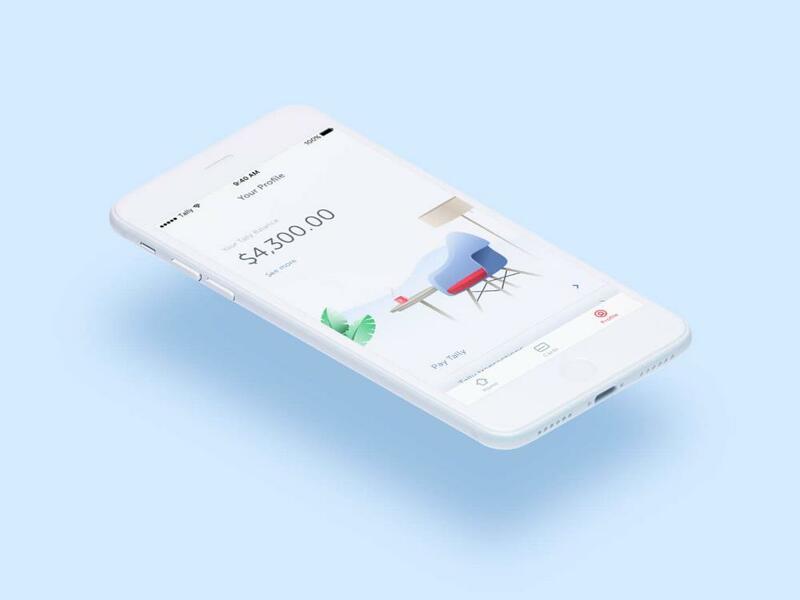 The Tally Advisor app will tell you the most efficient way to pay off your debt to avoid paying higher fees and interest rates, and can set monthly payment reminders even if you didn’t borrow money from Tally. Here’s where Tally really shines. First off, the app is free to download and use. In fact, you can still use the app without directly borrowing money from Tally by selecting the You Pay feature, which is always completely free. The company reported approximately one-third of clients only use the service for credit card management. With the Tally app, you don’t need to worry about annual, membership, prepayment, or balance transfer fees. There are no hidden fees, either. Instead, the service earns money by charging interest from the money you owe. Best of all, the interest charges will be lower than your existing credit card APR. Like we mentioned earlier, the lower interest rates alone are enough to help begin saving you money. Tally also offers a brilliant late fee protection service. All registered credit cards in the app are entitled to this service. This includes credit cards enrolled under You Pay. The service will scan all the credit cards in your account to determine if payments have been made. If not, all credit card debts enrolled under Tally Pay will be paid by Tally on your behalf using your credit line with the service. This will prevent your debts from incurring late fees and higher monthly payments. Is Tally available in all U.S. states? Not yet, but almost. The company is working to add more states as time progresses. Tally is currently available for residents of Arkansas, California, Colorado, Connecticut, Florida, Georgia, Idaho, Illinois, Iowa, Louisiana, Massachusetts, Maryland, Michigan, Minnesota, Missouri, New Jersey, New Mexico, New York, Ohio, Oklahoma, Oregon, Pennsylvania, South Carolina, South Dakota, Texas, Utah, Washington, Washington D.C. and Wisconsin. What happens if I use up my Tally credit line? The service will continue making an advance in your credit line as long as your Tally account is in good standing. The new advance will be enough to cover the minimum amount due on your credit cards. Of course, you will be obligated to pay back the advances once the due date arrives. This way, you only need to think about paying Tally once a month instead of pulling your hair over multiple credit card debts monthly. Can I pay more than the monthly recommendation? 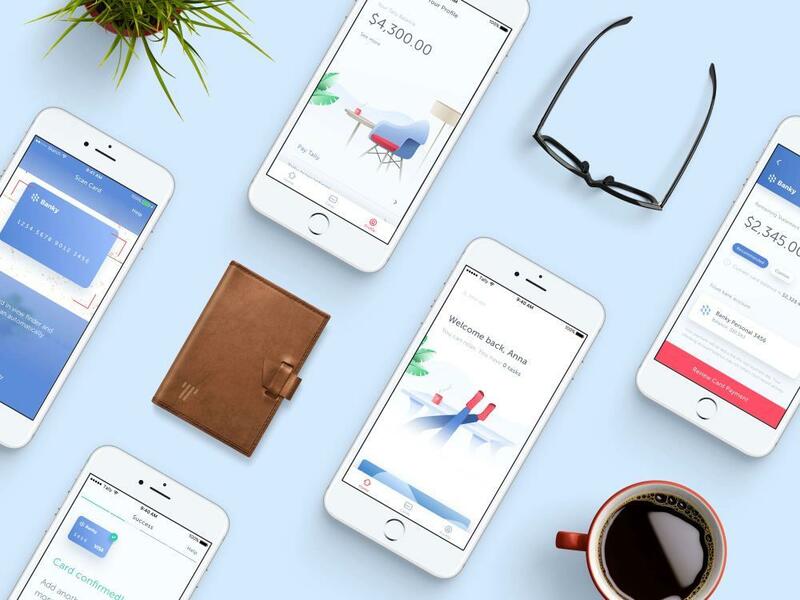 Tally Advisor lets you manually set your new payment goals for each month. If you can pay more money, the app can speed up your timeline automatically. This will allow you to track your progress as the debts are paid in real time. This certainly beats endlessly pounding on the digits in your calculator just to figure out how much and how long it takes to successfully pay off credit card debt. How do I pay Tally? You link your checking account to your Tally account, which will email a statement every month. You can pay Tally easily and instantly using the app. Tally Advisor comes highly recommended. The service does require a minimum credit score of 660 to enroll your credit cards under Tally Pay, which is still pretty decent given the capabilities of the service. No matter what your score, however, the You Pay service is completely free and will help you manage your cards and get your debt payed down faster. If you’ve ever struggled with credit card debt, or even have some frustrating debt left on the cards, you know how predatory and difficult the credit card companies can be. Ultimately, if you have credit card debt you’re unable to pay in full right away, there is no reason for you not to use Tally Advisor.